This Spanish Leather Cologne by Geo. F. Trumper is a rich and heady scent designed to ensnare the senses, and envelope you in a heavy cloud of musk and patchouli. Each spray of this cologne will give your skin a deep and intriguing scent, playfully bewitching with every whiff. 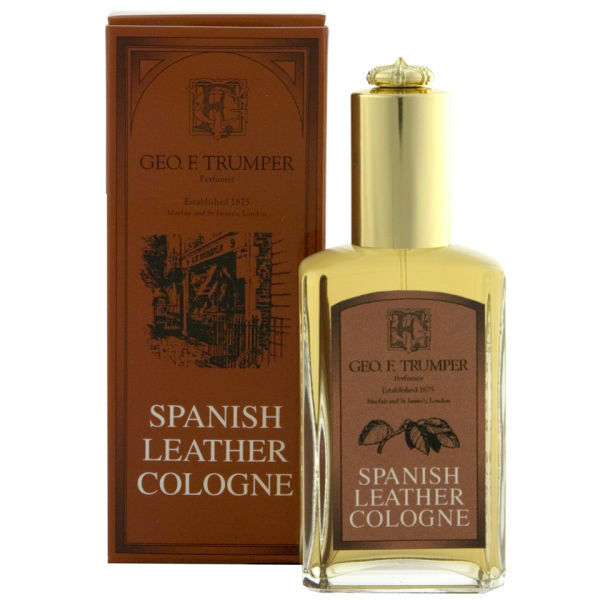 This Trumpers Spanish Leather Cologne mixes the delicious aromas of spice and dark wood, infusing them with sensual musk, creating a rich and hazy cloud of warm and heady fragrance. Treat yourself to the scents of warmth and spice with every spritz. Excellent cologne, particularly suited for cooler months. Will make you distinct as it is not easily comparable to anything else on the market. Love the fragrence. It suits my husband very well.